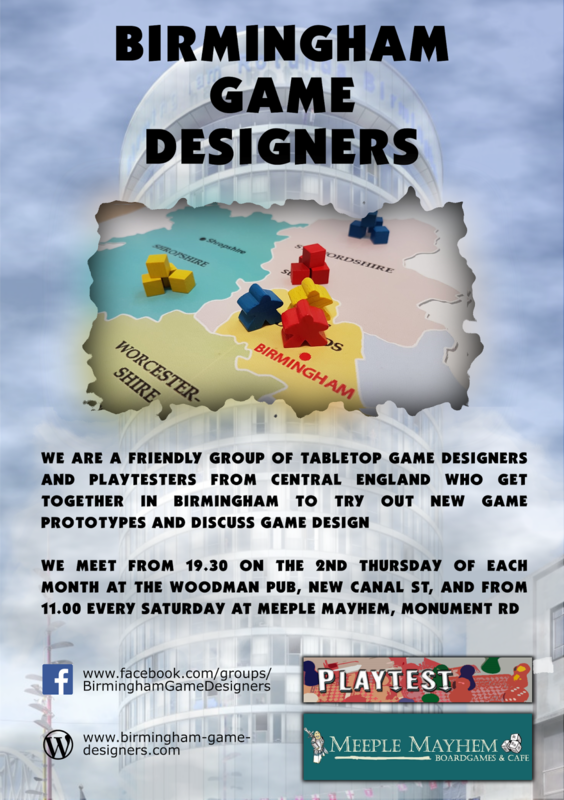 Birmingham Playtesters have now rebranded as Birmingham Game Designers. 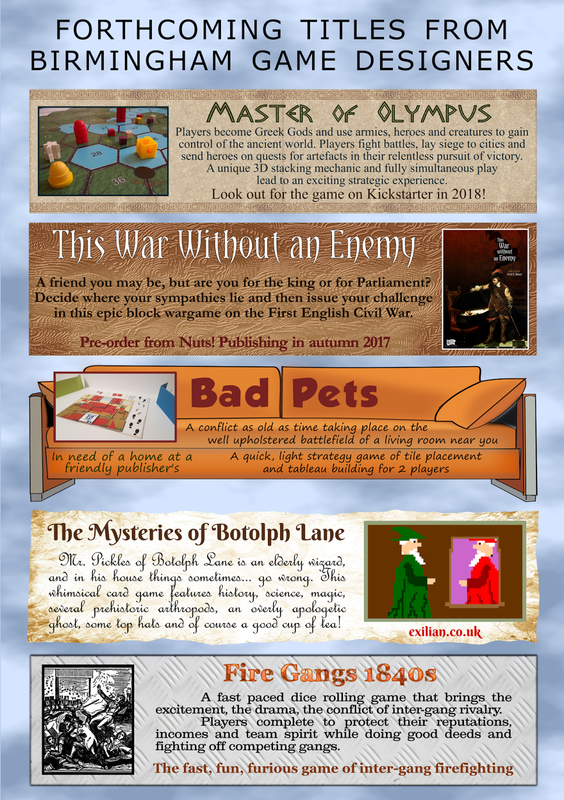 We've launched a Website and a new Facebook group. We still meet every second Thursday of the month from 19.00 at The Woodman, but at least one of us will also be at Meeple Mayhem every Saturday from 11.00 with a game to playtest.